The materials recovery facility, Kabadiwalla Connect, was created with a main purpose: use information technology to ensure that recyclable waste does not end up in a landfill. Chennai metropolis, in India, generates over 5,000 metric tones of waste per day. That’s why, while looking for solutions to give recyclable waste a real value, these entrepreneurs came with this idea: an app called RecyKle to connect scrap dealers with consumers. For that reason, these 2016 MIT Climate Colab winners, strongly believe that, through Information and Communications Technology (ICT), they can solve gaps in the waste ecosystem. Using technology, they try to leverage the informal waste ecosystem and help divert waste from the landfill. But for Kabadiwalla Connect, it is not just about the environment. They also have in mind the social angle — working with an extremely marginalized community — the kabadiwallas," explains Siddharth Hande, CEO and founder of the company. How does it work? Recykle is an app that helps people get the information they need to manage their waste responsibly at home. When you sign up, you can get simple tips to help you sort your waste, sign-up for composting events and connect to your closest Kabadiwalla. Here’s the exciting part—if every household in Chennai sold their recyclables to their local Kabadiwalla (small scrap-dealers that are ubiquitous in the city) and composted at home, they would reduce the amount being sent to the landfill by 70%. 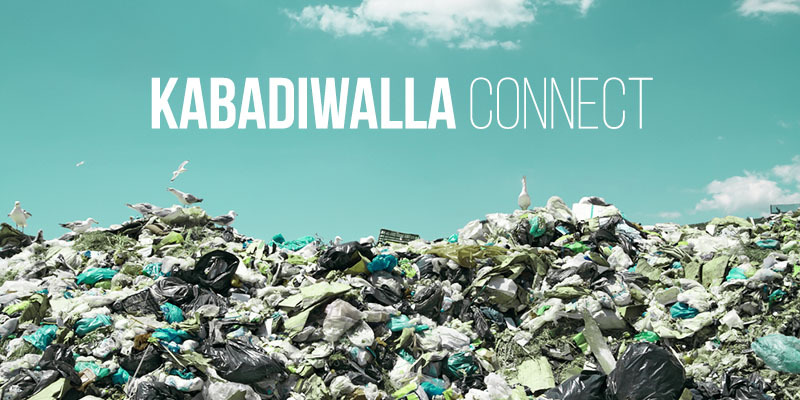 Kabadiwalla Connect also operates India’s first technology-enabled Materials Recovery Facility (MRF) that sources post-consumer waste efficiently from the informal sector. It is India's first smart materials recovery facility (MRF) at Puzhal in Chennai. Currently, the facility handles PET bottles, but Ganesh Kumar Subramanian, technology leader of Kabadiwalla Connect, says there are plans to expand the business by recycling all types of plastics. At the MRF plant, the PET bottles collected from Kabadiwallas are shredded into pieces after their labels and caps have been removed. These pieces are then sold to fabric manufacturers, explains Subramanian. "Since we began our operation, we have prevented 1.25 lakh kilo of PET bottles from entering into our landfills," he adds. A great project that has found a simple way to provide a solution to improve the quality of life of its citizens. For more information about this project, click here.